is home to the museum. 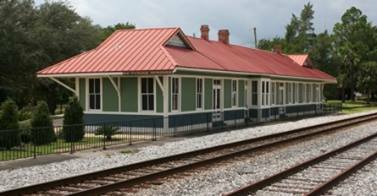 The City of DeFuniak Springs restored the Depot in 2002. Tuesday through Saturday, 1:00 to 4:00 p.m.
We depend upon dues and donations to maintain the Museum. Help us preserve and protect the history of Walton County by becoming a member. 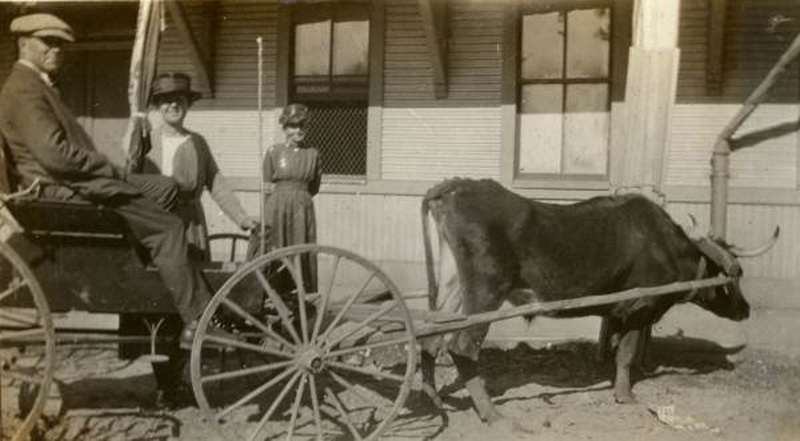 "Mr. Anderson in the buggy at De Funiak Springs, Florida." In front of the L&N Depot, about 1921.
from Fargo, North Dakota, to Florida. Accompanying note: "Slow but sure". The Main Street DeFuniak Springs organization has been accredited as both a Main Street America and a Florida Main Street program. Main Street America is a program of the National Main Street Center. It revitalizes older and historic commercial districts to build vibrant neighborhoods and thriving economies. Florida Main Street is a technical assistance program with the goal of revitalizing historic downtowns and encouraging economic development within the context of historic preservation. In the past year, seven downtown improvement projects have started, and three others have been completed. As a result, 20 new jobs were created, 200 volunteer hours were donated, and 10 commercial properties were purchased for redevelopment. In 2019, Main Street is planning three programs to draw new visitors to DeFuniak Springs. The Smithsonian Institute will bring its "Crossroads: Change in Rural America" exhibit here May 11 through June 22; the Florida Humanities Council is sponsoring wayside signs for an historic walking tour through the original Chautauqua campus and historic business district; and Visit Florida will distribute a new Visitors Guide and Tourism Map at its welcome centers throughout Florida. For more information about the "Crossroads" exhibit, click here. The March issue of Walton Relations is now available: click here. Past issues are available online: click here. 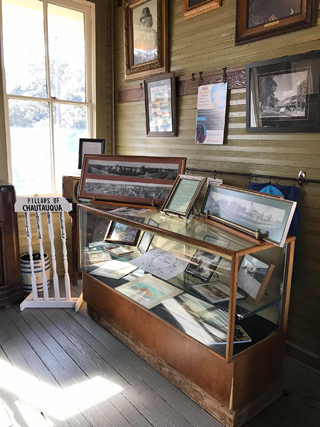 ©2007-2019 The Walton County Heritage Association, Inc.